Preparing the Workforce for 21st Century Employment. Project outcomes, course material makeovers, open courseware and grant project showcases. Announcements, SkillsCommons communities and events, industry sectors, technology partners, social media, and more. Upload OER and workforce development materials to SkillsCommmons. Get help uploading, planning, and implementing strategies for your project. 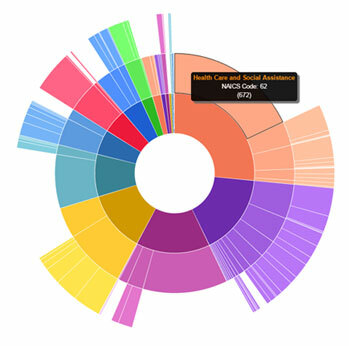 Use our interactive Industry Wheel to locate materials that are free and open for you to use!